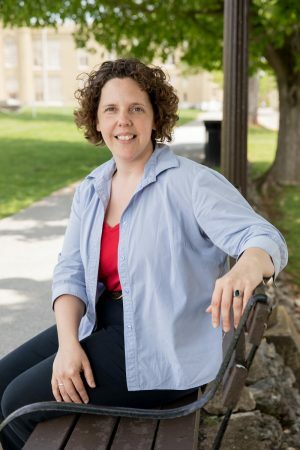 Laura “Beth” Hunt ’00 sits on a bench at Virginia Military Institute, where she works as a first sergeant for the campus police department. 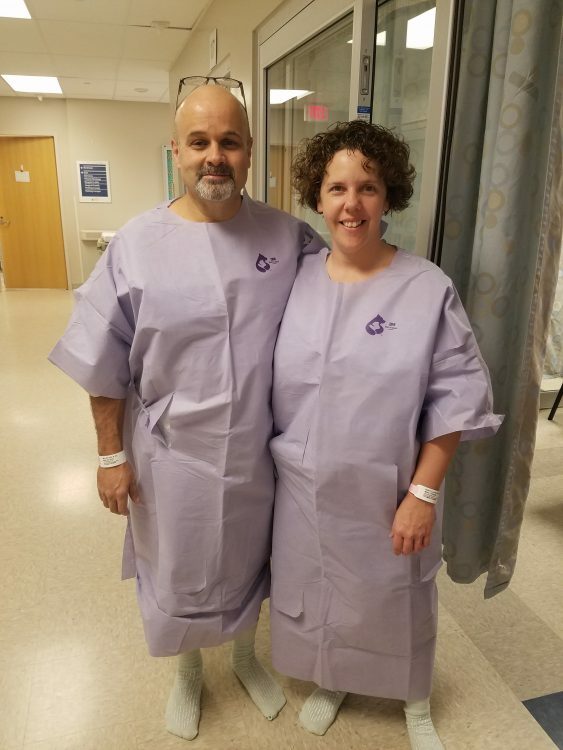 Four years ago, Laura “Beth” Hunt ’00 was set to donate a kidney to her cousin. 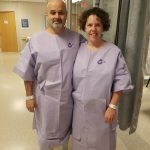 She had undergone the preparatory steps, the surgery date was set, and all that remained was a final checkup just two weeks before the transplant. That’s when the doctor found a benign tumor on her kidney. Fortunately, her cousin found another donor, but Hunt still wanted to fulfill her goal of making a life-saving organ donation. Ever since she watched the movie Steel Magnolias as a child, she was fascinated by the concept. In the 1989 film, a mother played by Sally Field donates a kidney to her daughter, portrayed by Julia Roberts. “I thought, ‘That’s the coolest thing anybody could ever do, and I’m going to do that one day,’” Hunt said. Hunt decided to get tested as a liver donor. Before her appointment at the University of Virginia Health System, she went on a family beach trip. 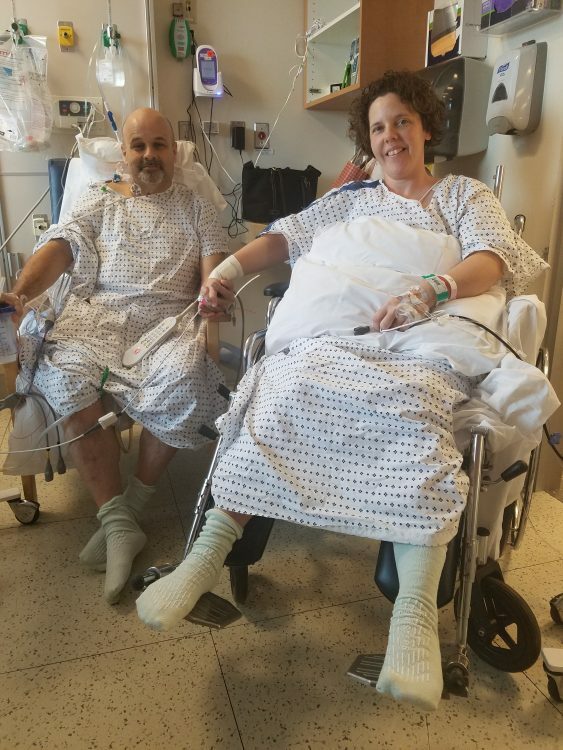 While relaxing on the beach, Hunt scrolled through Facebook, stopping abruptly when she saw a post from a friend about someone needing a liver donor. It was her blood type, and they were planning the procedure at UVA. She responded right away. 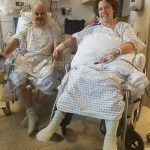 Rex Miller, from Bristol, Virginia, was the man who would receive about 63 percent of her liver. He had been diagnosed with nonalcoholic cirrhosis, which often leads to liver cancer. Hunt met Miller and his family for the first time when they visited their mutual friend in Amherst last October, and they quickly bonded. The liver transplant took place in December, and Hunt and Miller are now healthy and back to full strength. Hunt, who is a first sergeant for the Virginia Military Institute Police Department, missed six weeks of work, but she was only in the hospital for three days. Many have praised her for her sacrifice, but Hunt doesn’t see it that way. “Just because it’s not your family, doesn’t mean that they’re not part of somebody else’s family,” Hunt said. “In my case, it was a husband, a dad, a brother. “He’s got two teenage kids that he otherwise wouldn’t have gotten to see graduate from high school, go to college, or get married. Why should my family be more important than theirs?” she added.